Prime Minister vows to pass additional steps against terrorists, inciters at special Knesset session in memory of Rehavam Ze'evi. Prime Minister Binyamin Netanyahu gave a speech in the Knesset special session in memory of Minister Rehavam Ze'evi, who was killed by a Palestinian Arab terrorist in 2001 - and made it clear that significant decisions will be made Tuesday. "Today we decide on a series of bold steps to further our war against incitement and terrorism," he began. "They will be applied in the field as quickly as possible." "Israel will come to settle accounts with the murderers, those who try to murder, and anyone who helps them," he continued. "Not only will we take away rights, but they will pay the full price. "All whoever raises a hand to hurt us - his hand will be cut off," he warned. "We will use every means at our disposal, and I do not hesitate to use them, in order to restore peace to the cities of Israel." Netanyahu spoke in the midst of an unprecedented wave of terror attacks against Jews in Israel, with no fewer than 20 stabbings in ten days - as well as shootings, rock-throwing and firebomb attacks, and car attacks nationwide. In light of this, he turned directly to Palestinian Authority (PA) chairman Mahmoud Abbas, who has been actively involved in incitement to violence. 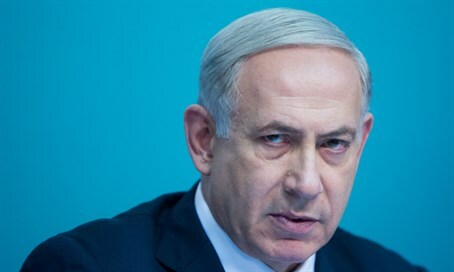 "Do not turn murderers into heroes," Netanyahu thundered. "If there is deterioration due to the provocations of Hamas, the Palestinian Authority and the Islamic Movement - it's on your shoulders." He also called for Israeli Arabs to help calm tensions. "Do not be misled by agitators," he said. "It's easy to unravel the threads that bind us to one another. Do not be tempted to do so." "There is a large group among Israeli Arabs who understand things, and their leadership must act boldly, and face agitators," he added.